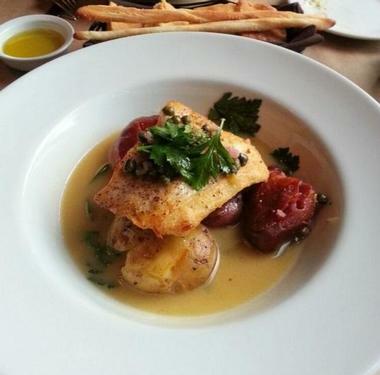 Portland, OR is known for being a foodie's paradise and its selection of Italian restaurants certainly doesn't disappoint. The focus is on fresh, local, and sustainable, but that doesn’t mean that you won’t get your fill of traditional Italian flavor. Portland restaurants serve everything from wood-fired pizzas to creamy risotto and families will be delighted to find affordable kid's menus in many of the eateries. Whether you're craving the taste of Tuscany, the flavors of Sicily, or simply some good old-fashioned Italian-American comfort food, you are sure to find something that will hit the spot. 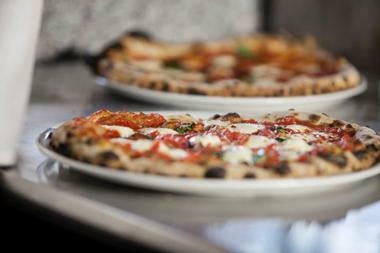 Piattino, which literally means “small plate,” specializes in traditional Italian small bites and pizzas. The menu features artisan pizzas, pastas, and tapas made for family-style dining, all of which are prepared using fresh local meat and produce as well as some specialty ingredients imported from Italy. A wide selection of cheese and cold cuts are available for guests to create their own personalized cheese and meat plates, which come served with bruschetta, crostini, aged garlic, and walnuts. Happy hour takes place every Tuesday to Friday from 3 p.m. to 5 p.m.; specials are offered on selected beers, wines, pizzas, and appetizers. Cibo is the second restaurant to be opened by chef Marco Frattaroli and offers experimental Italian food in a friendly, casual setting. 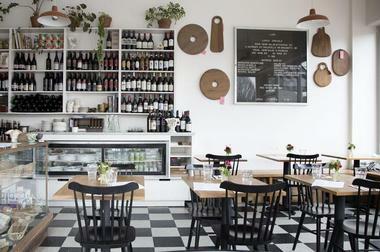 The decor is inviting and modern and the imported Ligurian pizza oven takes center stage. 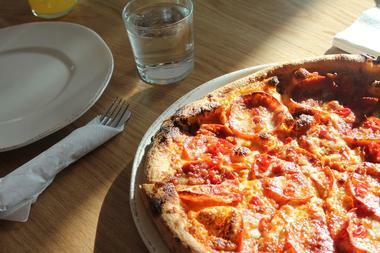 The menu offers a range of small plates, pizzas, and pastas as well as several meat dishes. If you're looking for something unique, try the cecina - a baked chickpea flour flatbread that's a popular street food in Tuscany. Happy hour food specials are available every night until 6 p.m. and in the last hour before closing in the evenings. 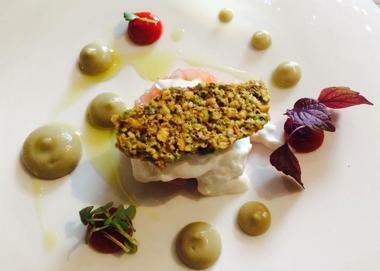 DOC Restaurant is an intimate, upscale Italian restaurant that serves delicious food prepared in full view of each table. The menu changes weekly to showcase the best seasonal ingredients and a tasting menu is also available and indeed mandatory for groups of six or more people. Carefully selected wine pairings are available if this option is chosen. Only the tasting menu is offered on Friday and Saturday evenings and dinner is served in two seatings at 6 p.m. and 8:30 p.m. Reservations are recommended, especially for guests who wish to sit outside on the patio. In Italian, a cena simply means “come to supper,” and this is an invitation that you'd be wise to accept. The restaurant prides itself on its simple but delicious Italian fare and offers a unique fine dining experience that incorporates the comforting and welcoming atmosphere of a traditional Italian country kitchen. The menu changes frequently, but one item that can always be found on it is Executive Chef Gabe Gabreski's signature lobster agnolotti pasta dish. Food is prepared using fresh ingredients that are sourced locally wherever possible and an excellent wine list is also available. The glamorous Ava Gene's boasts a warm interior with a stunning marble bar. Inspired by the tastes of Rome, the food served here is simple, rustic, and seasonal. The restaurant also makes an effort to source their ingredients locally wherever possible, and in doing so supports a large number of local farmers and artisans. Located in Northwest Portland, Caffe Mingo is a favorite with locals and visitors alike thanks to the cozy, romantic atmosphere and delicious food. The simple Italian fare served here is prepared by experienced chefs committed to using the best possible ingredients and the dinner menu changes weekly to take advantage of the local, seasonal produce and meat. Guests can choose to dine either outdoors or inside near the inviting open kitchen. The restaurant is open for dinner every day of the week and valet parking is available for those who want an extra-special experience. 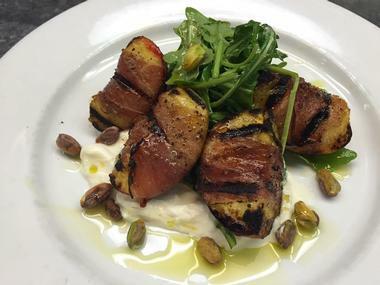 Denicola's Restaurant is a family-run eatery that serves delicious food prepared using traditional Italian recipes brought over to America by the current owner's parents. The extensive menu includes pizza, calzones, seafood dishes, and a wide variety of pasta; chicken fettuccine alfredo and veal and eggplant parmigianas are some of the house specialties. There are plenty of vegetarian options available and pizzas, pastas, and some other dishes can be made gluten-free upon request. 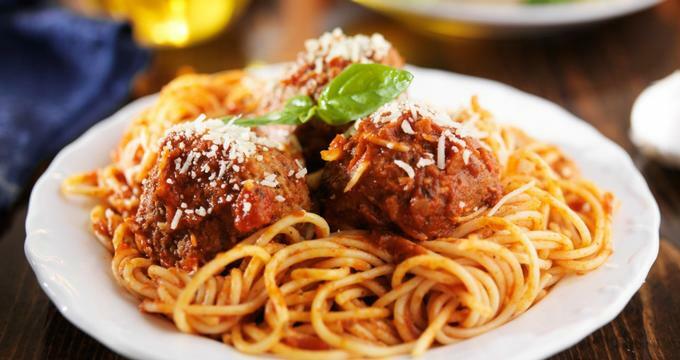 The restaurant's most popular dish is their spaghetti and homemade meatballs, and all-you-can-eat spaghetti dinners are offered on Sunday, Monday, and Tuesday evenings. Fillmore Trattoria is an offshoot of a popular San Francisco restaurant of the same name and offers home-style Italian-American cuisine in a warm, welcoming setting. The menu lists snacks, appetizers and salads, pasta, and entrées; popular dishes include the stuffed artichoke, the spaghetti calamari, and the red snapper in spicy tomato sauce. There is also an extensive wine list that includes plenty of Italian wines as well as several domestic options and complimentary homemade bruschetta is served with every meal. 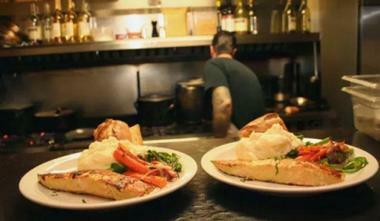 The restaurant is family-friendly and outdoor seating is available on a patio with its cozy fireplace. Named in honor of Head Chef Marco's Grandma Gilda, Gilda's Italian Restaurant prides itself on offering guests the same type of culinary experience that they would enjoy in a traditional Italian home. The food is prepared using the best available ingredients, which are sourced from local, sustainable farmers whenever possible. The restaurant is open for lunch and dinner and gluten-free and vegetarian options are available. Guests can also choose to have a meal or a drink in the adjoining lounge, which offers the restaurant's full menu as well as a second menu of small plates. Located in a unique high-ceilinged space with an industrial feel, Grassa specializes in traditional Italian comfort food with an unexpected twist. The menu tends to change from time to time, but expect to see items like spaghetti carbonara topped with a fried duck egg or Caesar salad with butternut squash and beetroot. All pasta is made in-house and packaged handmade pasta can be purchased by anyone inspired to whip up their own pasta creation at home. Prices are low thanks to the casual counter-service style of the restaurant, which also means that reservations are politely declined. 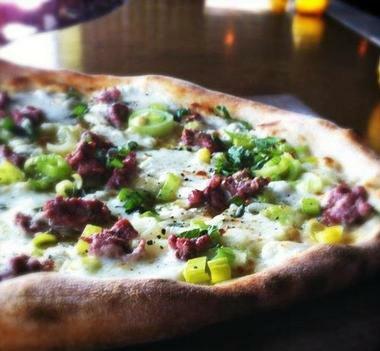 Lucca is an upscale but family-friendly restaurant that specializes in wood-fired pizzas, which are made in its beautiful tiled pizza oven. Many other menu items are available as well, including pasta dishes, meat dishes, and a wide selection of antipasti. The restaurant is proud to source much of its produce, bread, and meat from local farmers and producers. Weekly highlights include a special brunch served every Sunday from 10 a.m. to 2 p.m. and a happy hour every Tuesday to Friday from 2:30 p.m. to 5 p.m. Reservations can be made by telephone and the restaurant is closed every Monday. Owned and operated by Italian Chef Simone Savaiano, Mucca Osteria is an intimate little dining spot located in downtown Portland. The restaurant prides itself on cultivating relationships with local organic farmers; all meat served in the restaurant is certified organic and all the fish is sustainably sourced. The produce used is locally grown, so expect the menu to change according to what is in season at the time of your visit. Tasting menus are available upon request and set menus are sometimes offered for occasions like Valentine's Day, New Year's Eve, and special wine tasting evenings. In Italian, 'Nostrana' means 'ours' and the team here prides itself on offering an authentic Italian dining experience that puts seasonal, local ingredients front and center. The signature cocktail here is the Negroni, but there is also an extensive wine list with both Italian and domestic options. Every Thursday, the restaurant features potato gnocchi on both the lunch and dinner menus; reservations are recommended if you wish to partake. 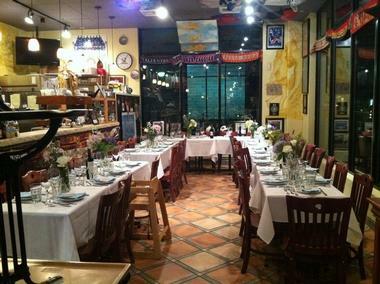 The restaurant also hosts occasional special events like Italian cookbook releases, olive oil tastings, and benefit luncheons. Located in the Pearl District, Pizza Italia is a friendly family eatery that offers high-quality Italian food at reasonable prices. A wide variety of traditional pasta dishes make up the bulk of the menu, but several appetizers, salads, and meat dishes are also available. The atmosphere is as warm and authentic as the food; the TVs are almost always playing soccer and the restaurant has actually hosted some of the best soccer players in the world. If you're just in need of a quick bite, the onsite deli offers Italian meats, cheeses, and olives as well as to-go pizza slices and desserts. 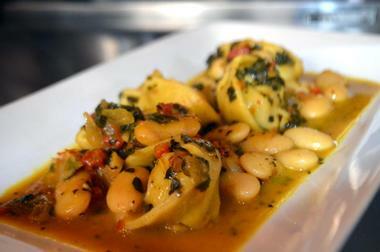 Run by chef Matt Sigler, Renata offers experimental variations on classic Italian favorites. The food served changes with the seasons, but the chef and his team always aim to pay their respects to the traditional cuisine of Italy using the best local ingredients. The menu is constantly evolving, but it always features carefully crafted wood-fired pizzas, handmade pastas, and hearth-grilled entrees like pork chop served with sunchoke puree. A special happy hour menu is available at the bar during selected hours and all day on Sundays. A private dining room is available by reservation; it can accommodate 14 people sitting or 20 people standing. Chef and owner Enzo Lanzadoro grew up in the tiny Italian town of Toritto and Enzo's Caffe Italiano offers an authentic Southern Italy dining experience unlike any other in Portland. The menu offers classics like caprese salad and margherita pizza alongside Enzo's special family recipes like sugo barese – chunks of goat, beef, and pork simmered for hours in a traditional red sauce. All of the cheese, pasta, and bread is handmade from scratch daily, and every dish is prepared fresh as it's ordered. The restaurant often hosts special events like wine tastings, live music, and weekly movie nights. Family owned and operated, Geraldi's Italian Eating Place brings the taste of classic New York-style Italian food to Portland. The joint serves cold sandwiches, hot sandwiches, pizzas, and a variety of sides dishes and salads. Menu highlights include the New York meatball sub, the classic pepperoni pizza, and the cold turkey pesto sandwich. If you're looking for something different, try the restaurant's signature pizza: spaghetti, meatballs, and a creamy mozzarella sauce baked on top of a classic cheese pizza. The restaurant is open every day for lunch and dinner but closes at 6 p.m. on Sundays and 8 p.m. on all other nights. Open since 1996, Gino's is a family-style restaurant that serves traditional Italian-American comfort food. The restaurant is small and intimate and the warm decor and the large oak bar invite you to come in and relax. The owners believe in supporting sustainable local farmers, so you can rest assured that all ingredients used to prepare the food are in season and as fresh as possible. The kitchen here is quite small, so groups of eight or more people are encouraged to try dining "family style" so that everyone gets their food at the same time. 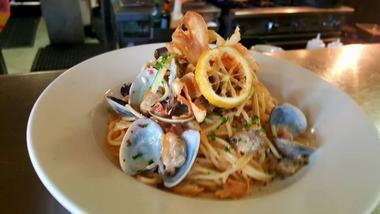 La Buca is a welcoming, family-friendly Italian restaurant located in northeast Portland. 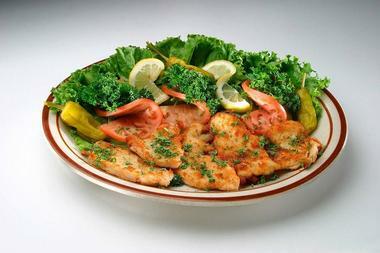 The restaurant specializes in paninis and traditional pasta dishes, but several meat and fish entrees are also available. Some of the more popular options include the chicken Caesar panini, the puttanesca pasta, and the slow-roasted pork with caramelized onions and peas. The children's menu offers a grilled cheese panini and several simple pasta dishes; all children's meals come with apple slices and a serving of bread. The restaurant is open until 9 p.m. every night of the week, but reservations are politely declined. Located inside a small Italian food specialty store, Luce is a hidden gem that offers delicious Italian food to go or to stay. The menu starts with an excellent variety of affordable antipasti like spiced mussels and marinated mushrooms and moves on to include soups, salads, and traditional pasta dishes such as pesto ravioli. Specials include chicken cacciatore, a hangar steak served with garlic and rosemary, and an authentic Italian seafood stew. The restaurant offers an extensive wine list, but wine purchased from the store can be enjoyed with your meal in exchange for a small corkage fee. Opened in 2015, Oak and Olive Restaurant is a casual, brightly lit eatery that offers a modern Italian dining experience. The menu features a wide range of fresh salads, pastas, sandwiches, and pizzas; pizzas can be made gluten-free upon request. 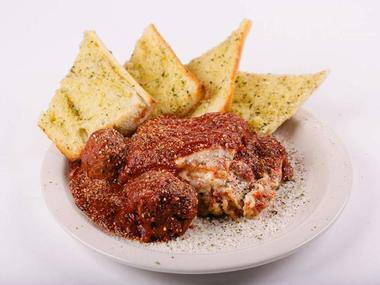 The restaurant is family-friendly and the affordable kid’s menu offers options like lasagna, pizza, and noodles with meatballs and red sauce. Take-out is available and anyone in a hurry can take advantage of the premade soups, salads, and sandwiches in the restaurant's deli case. On Saturday and Sunday mornings, the restaurant opens at 8 a.m. to serve a special weekend brunch. Located in the Pearl District, Trattoria Gallo Nero serves traditional Tuscan fare that leaves visitors feeling as though they've been transported to the countryside of Italy. In addition to an excellent selection of soups, salads, and appetizers, the menu offers traditional pasta, meat, and fish dishes like spaghetti al pomodoro, red wine-marinated lamb skewers, and a seasonal fish stew. 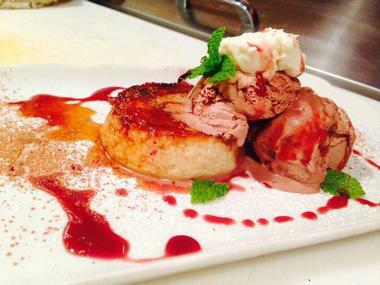 The dessert menu offers traditional favorites like tiramisu, affogato, and flourless chocolate cake. 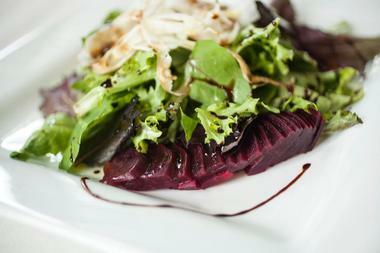 Tasting menus are available for pastas and desserts, and gluten-free and vegetarian diets can be accommodated. The restaurant is open every day for lunch and dinner.